What are you looking for on your search for the perfect online casino? The great thing when it comes to online casinos is that it is so easy to find everything that you are looking for at the same place and if you happen to end up at a site that does not fulfil your expectations, you can be on a new site in just a few clicks! 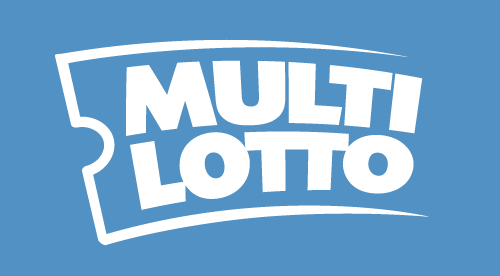 I am lucky enough to have found the perfect place for me to spend my time and it is at Videoslots.com – the world’s biggest online casino. 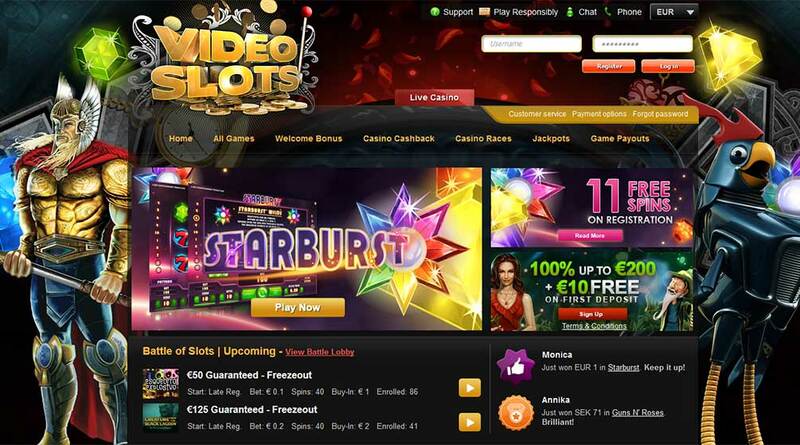 Videoslots.com is a pretty new casino on the market but besides that fact, they have grown at the speed of light! They were founded back in 2011 and have year after year climbed to the top of the casino chain. What is it that brings the spotlight to this site then? The first thing that I realised when I visited their page for the first time was the colourful layout and how the whole index page. Your eyes will also fall straight to some of the most appreciated game titles taken from their next into never ending game catalogue. With new game releases almost every day, Videoslots.com now has reached the amount of more than 1600 games which includes categories as poker, video slots, scratch card, live roulette and much more. This huge selection turns this casino into a place where you for sure will something that you like, no matter what kind of player you are. When you look deeper into the page, you will then see all of the benefits that you will get as a player. First of all Videoslots.com offer you a lot of different deposit methods and a high security. While you are playing, there are three different features that you automatically will take place in. While playing slots and video slots, you will earn Cashback. Videoslots.com are generous and gives back as much as 25% of their profit for each and single day to their players. No matter if you had the luck on your side or not while playing, Friday will be a happy day since that is the Cashback payday! At the same time as you play and earn Cashback, you will also climb in the list for the casino race. This is a feature where you will be fighting your way to hard cash prizes by simply making bets. €160.000 are paid out and this means that €40.000 will be paid out each Monday! Another feature where you will be competing about the first place in the top list is the magnificent Battle of Slots! You here get the chances to play in a battle against other player towards the total prize pool. This is not just a tournament, it is a social way of playing casino. Videoslots.com now gives you the chance to get to know the other player through the chat where all the players in the specific chat can meet up. The prizes that you can win can be everything from Cash to Free Spins. Maybe you, just like so many other people, are a huge fan of wagering free bonuses? Videoslots.com are using a feature with trophies which allow you to always earn bonuses while playing. You can then earn Free Spins, Free Cash, Deposit bonuses and much more. Yes, you read it correct. Bonuses, cashback and casino race simply by playing your favourite games! Once you have got a win from Battle of slots, the casino race, the cashback or just a big win from one of the games. You can make a fast and secure withdrawal of your funds. Most of the withdrawals are processed within 12 hours from the request and there are plenty of methods that gives you an instant transfer after approval. There are a lot of facts that is requested from the players and most sites are keeping their focus on one or maybe two of those requests. Why not register for a page that actually offer all of it? 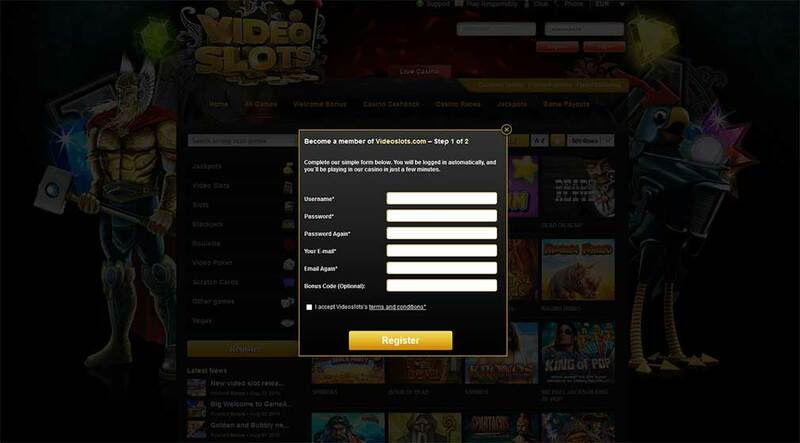 So make your way to Videoslots.com and register your account to become a part of this constantly increasing family. Take a chat with the friendly support who can guide you through the start of your career. There will be a helping hand available 24/7. So click on the banner to begin this casino adventure, have fun!